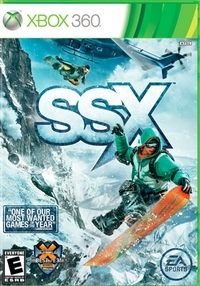 Video game maker unsuccessful in challenge to SSX.com domain name. Electronic Arts releases a reinvention of the SSX snowboarding video game next month, but it has failed to convince an arbitration panel that it deserves the domain name SSX.com. The domain name was purchased by Abstract Holdings International LTD as part of a $200,000 domain name portfolio purchase last October. For a brief period of time the domain name was parked with ads related to video games. EA pounced on this brief infringing pay-per-click usage to show bad faith on the part of the registrant. For its part, the registrant admitted a brief bad faith use of the domain name but said the domain wasn’t registered in bad faith. The EA allegations of bad faith in part are based upon the lack of due diligence conducted by retailers of domain names like Respondent. EA would seem to require that entities like Respondent conduct an international search for relatively obscure trademarks in order to determine whether a name is a registered mark. The Panel is not willing to go so far, as discussed below. The panel also determined that the domain registrant had established rights or legitimate interests in the SSX.com domain name. The respondent was represented by domain name attorney Zak Muscovitch of The Muscovitch Law Firm.